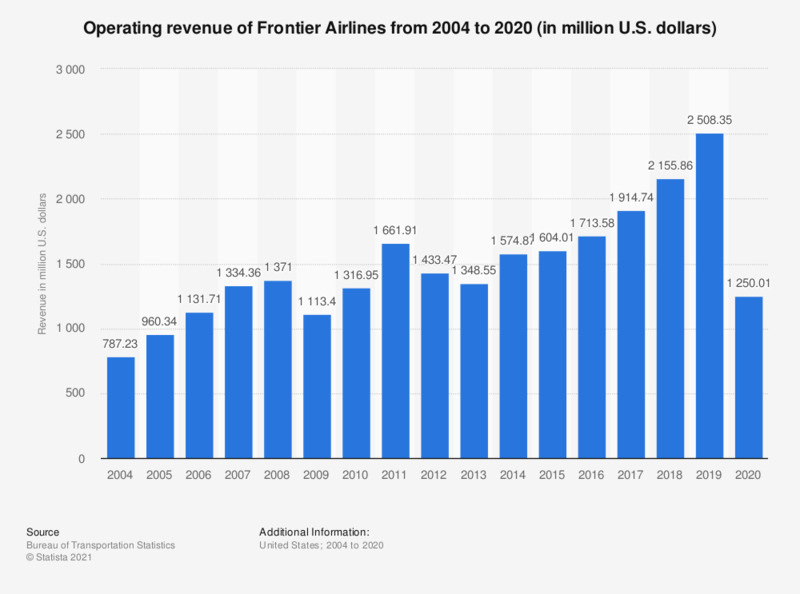 This statistic illustrates the operating revenue of Frontier Airlines from 2004 to 2017. In 2017, the American regional airline generated total revenue to the value of over 1.9 billion U.S. dollars. To retrieve data, please select "Frontier Airlines" from the dropdown list by clicking on "U.S. Carriers ($20M revenue/yr)" and select "Operating Revenue". Total operating revenue streams include additional revenue sources such as charter, cargo, and miscellaneous operating revenue.